I thought that for this edition of Driver instead of talking about safer driving I would perhaps tell you how and why the police method of driving came about. The vast majority of advanced driving organisations base their own standards on those set by the police so I thought that telling you how it came about could be of interest. The Metropolitan Police bought their first two motor cars (Name and Type) believe it or not in 1904. One was for the Commissioner and the other was for the Receiver, he's the chap who is in charge of the police finances. These two cars were registered A 209 and A 210 The first, A 209, was for the receiver and A 210 was for the Commissioner. I don't know who drove them but I suspect it was not the two gentlemen for whom they were purchased but some police officers who were given some training by As time passed more vehicles were purchased especially at the end of the First World War when a large number of ex-service vehicles came onto the market. Crossley tenders were bought and used with whopping great aerials on them as early wireless cars. Morse code only! By the time 1934 was reached the Met owned some 700 vehicles and drivers were police officers who were given a whiz round the block by a supervising officer and pronounced OK to drive or not as the case may be. You have to remember that at that time if anybody wanted to drive they bought themselves a driving licence from the post office for, I think, five bob (that is five shillings in real money or twenty five pence in decimal) and then could jump into the seat of a motor car and set off with great glee onto the open roads. I think I might have a picture of an open road somewhere if you have never seen one. Police drivers therefore were the same as everyone else and were not trained or tested other than when they were given their check test. Because of their lack of training and the type of driving they were having to do, police drivers were having accidents at the rate of one for each 8,000 miles driven and the accidents were quite naturally attracting a lot of adverse comments from the public. To try to allay the fears of the public Malcolm Campbell the famous world speed record holder and driver was asked to test some of the police drivers. Forgive me for being cynical but as he was only going to test a sample few do you think I could be right in thinking that only the best were put under the microscope. These police drivers were duly tested and pronounced to be well up to standard for the task they were required to do. (Surprise, surprise!) However the message had got home and it was decided to set up a driving cchool for Metrooolitan oolice officers and subsequently this was set up on a site just a few yards from the site it occupies today in Aerodrome Road, Hendon, North London. In January 1935 the first police officers attended the very first course but the content of the course was still really based only upon the experience of the police officers chosen to be the instructors. In 1935 it was decided that it would be a good idea if the school had a professional advisor and the Earl of Cottenham, who was a pretty nifty racing driver in his day, was appointed as the advisor and tasked with setting up a standard for the newly opened school. He used his knowledge gained from racing cars to work out a system of driving that if used properly would always ensure that the driver would have his car going at the right speed, in the right gear for that speed and be in the correct position on the road. He worked out that it was safest to do just one thing at a time whenever it was necessary to carry out a manoeuvre such as negotiating a bend or corner. His system was introduced and in just a short while the accident rate for the Met dropped to one accident in 27,000 miles an absolutely huge difference and guess what? The public was a great deal happier! That system has been used virtually unchanged until very recently when it was brought up to date to take into account the modern motor car. Morris 4-seater car and BSA combination motor cycles - 1930. 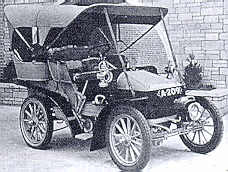 The first traffic patrol vehicles. The horn can be used at any time it is required and the information phase actually encompasses all the other phases as the driver should be taking in information all the time in case he needs to reassess the situation. So 63 years after it was introduced it is still being used to teach drivers, albeit in a modified form and the accident rate is now just one in every 28,000 miles driven. I think it fair to say, "The System Works." Oh, by the way, those number plates. The Receiver still does have A209 but the Home Secretary nicked A210 some time ago as it was thought to be far too good for a mere policeman!